"Another advancement for LGBT, recognition for Harvey and his message of hope! Amazing news from Stuart Milk, please share widely! "Breaking! It is official! 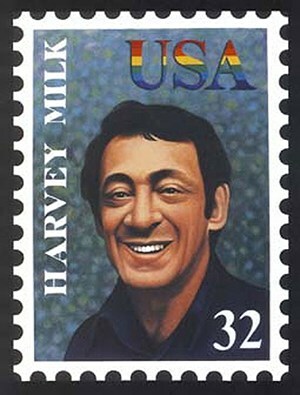 The USPS will confirm this week that my uncle, Harvey Milk will be commemorated on a 2014 US postage stamp. Another first! My deep gratitude to everyone that supported this effort! More details including the image to come via USPS soon! "Hope Will Never Be Silent" and will be on millions of letters soon!" honoring his legacy of perseverance and pride today."